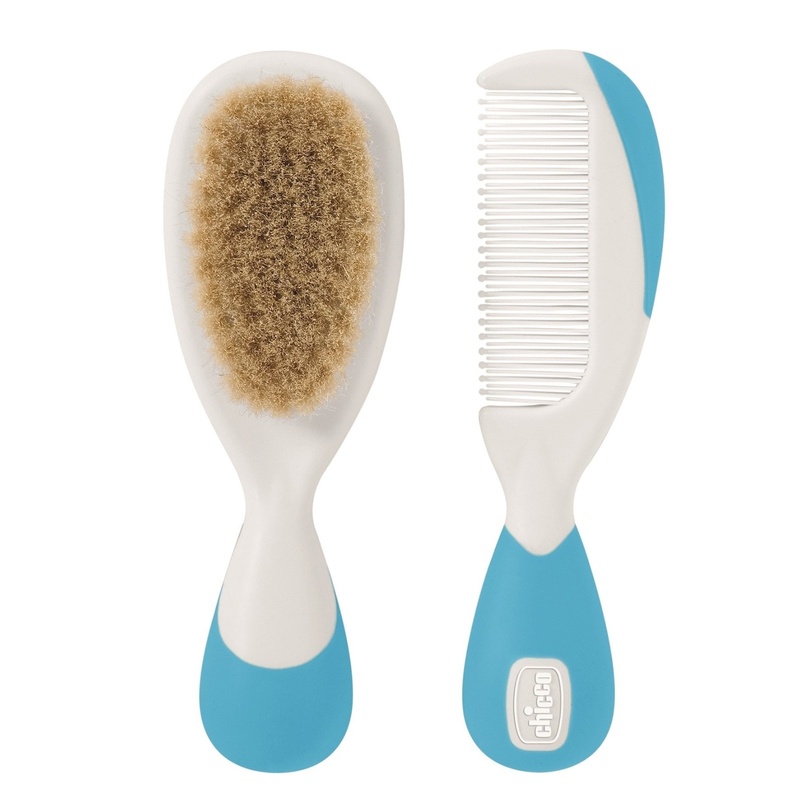 The brush has natural soft hair. 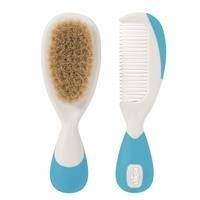 The dents of the comb are rounded in order to avoid harming your baby's scalp. Has a large handle for a secure grip. Natural hair brush is suitable for use starting from birth. 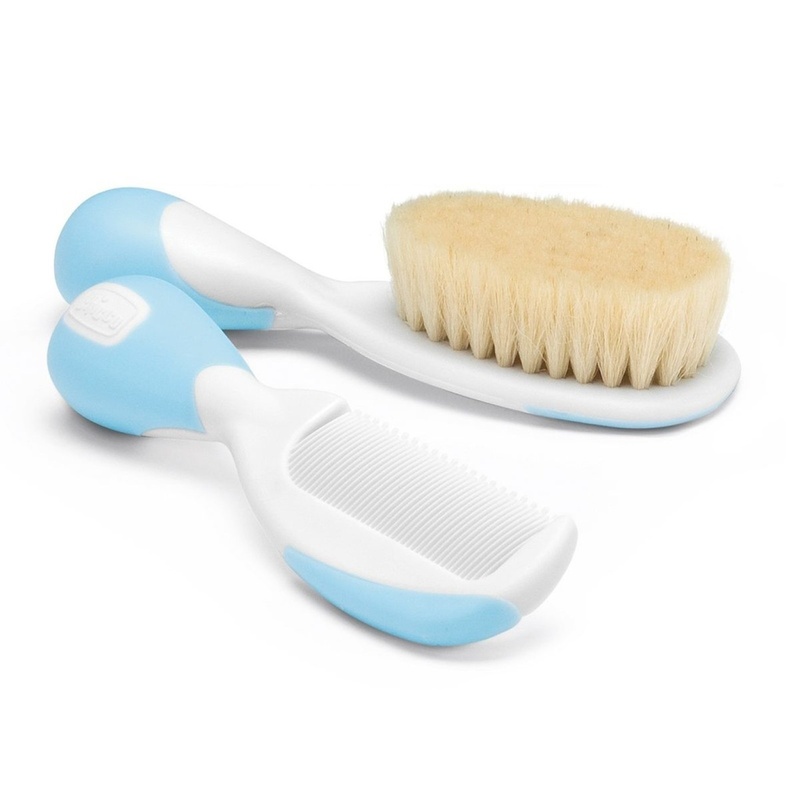 No bacterial growth and is easy to clean. 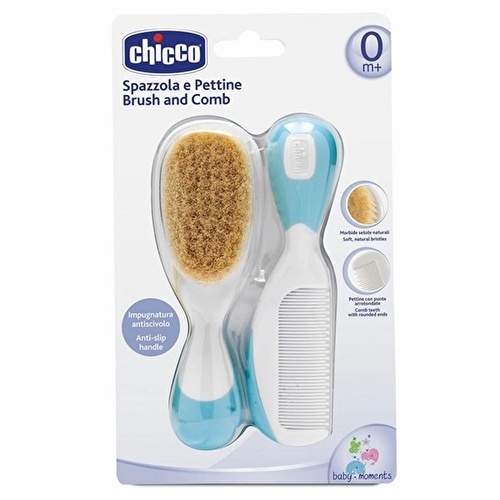 With its soft tip creates a massage effect and also soothes your baby.